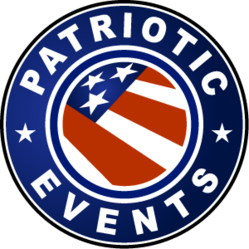 PatrioticEvents.com is revolutionizing the way people host and organize patriotic-themed events. PatrioticEvents.com is changing the way people host and organize patriotic-themed events. From industry-leading registration software, to a team of military veterans to support it, customers can manage an event from start to finish. The registration platform is more than just a way to process credit cards. Users will get an entire event website including an online auction, weather reports, and event directions. Using the event industry’s leading software platform, Patriotic Events has the ability to request proposals for worldwide venues with exact specifications. From dietary restrictions to handicap accessibility to room size, proposal requests from international hotels can be submitted with just a few clicks. Our team is made of an all-veteran workforce. For more information and to view demo sites, please visit us at http://www.patrioticevents.com. Stars and Stripes Marketing LLC is a full-service marketing firm that specializes in consulting and developing military marketing strategies for small businesses. Founded in April 2010, SSM’s vision is to bring together civilian and military organizations that are mutually beneficial, leading to better community support for all service members. SSM is a veteran-owned, veteran-run business that takes pride in operating under the military values of honor, integrity and loyalty.